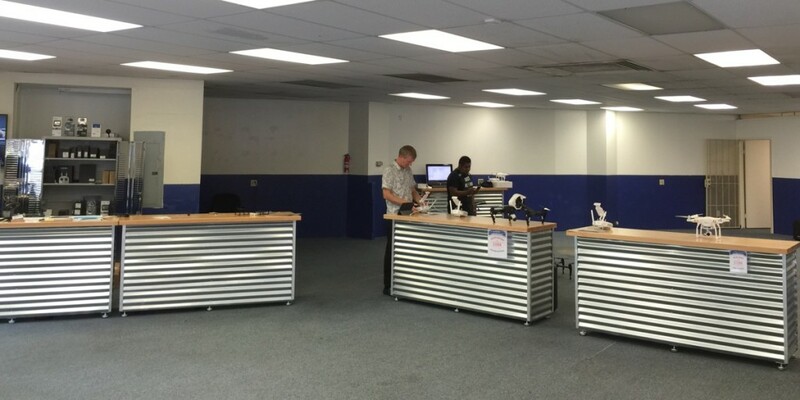 Dispelling any doubt that drones have gone mainstream, Honolulu is now home to a brick-and-mortar retail and service shop dedicated to the flying machines. 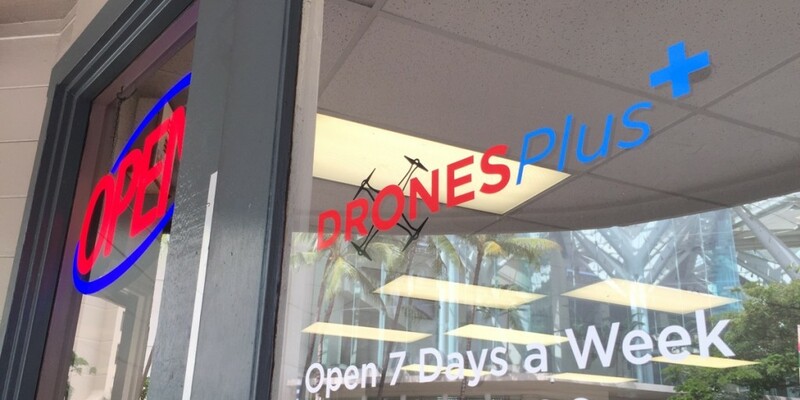 Drones Plus Hawaii, located across the street from the Hawaii Convention Center (1695 Kapiolani Blvd. 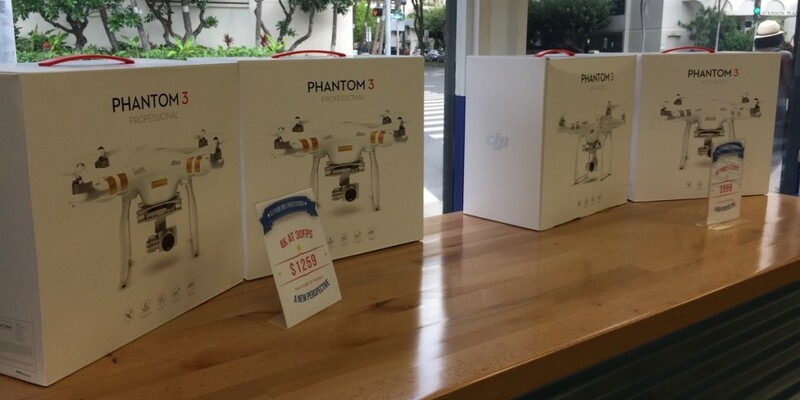 ), is one of nine Drones Plus stores in the U.S. and Canada. The local outlet is operated by Shane Lawler, a self-described “entrepreneur and alternative thinker,” who is originally from Alabama but has been doing business in Hawaii for more than a decade. Lawler’s diverse background includes starting a telecom company that grew to operate in nine states, offering IT consulting, running an internet cafe, producing adventure photography and videography, and working in industries ranging from real estate to insurance to energy to travel. 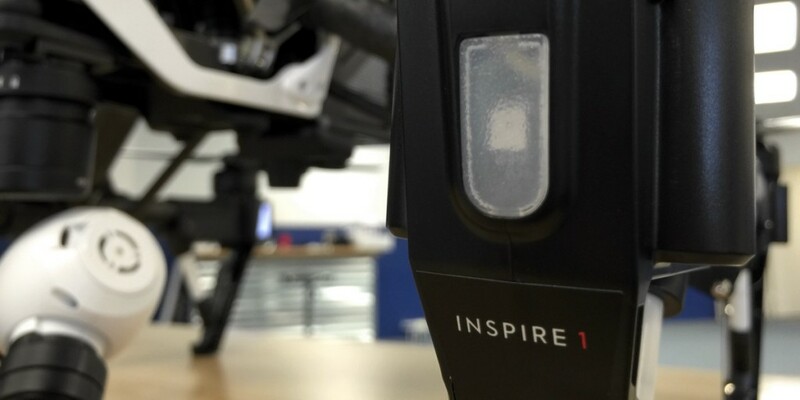 In between retrofitting a luxury yacht and launching a hardware startup, he got into drones with the DJI Phantom 2. And like any entrepreneur, he soon hatched a plan to turn a personal passion into a business. 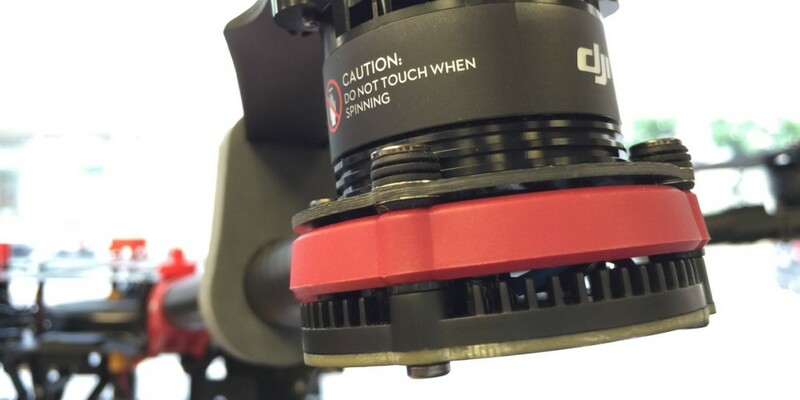 Lawler found a great partner in Drones Plus, one of the largest North American retailers of drones and one of only four authorized DJI retail and service companies. DJI, founded in China in 2006, is easily the world’s largest manufacturer of drones. 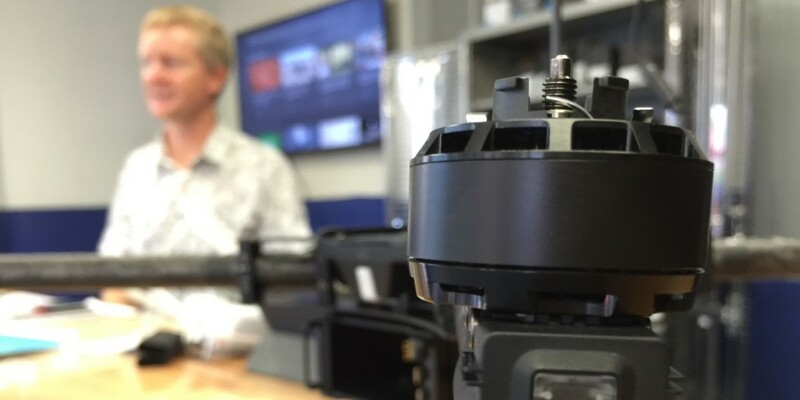 Although the company saw $500 million in revenue last year, selling thousands of consumer-friendly quadcopters, drone enthusiasts would sometimes struggle with getting customer support from the overseas maker. Drones Plus is filling that gap, and with DJI drones flying off the shelves, the chain is growing rapidly. 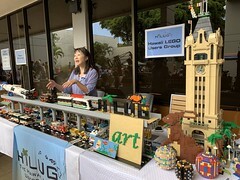 Lawler says that while his Honolulu store is the latest to open, another four are opening in the next month alone. To Lawler, the need for a store dedicated to drones was clear. 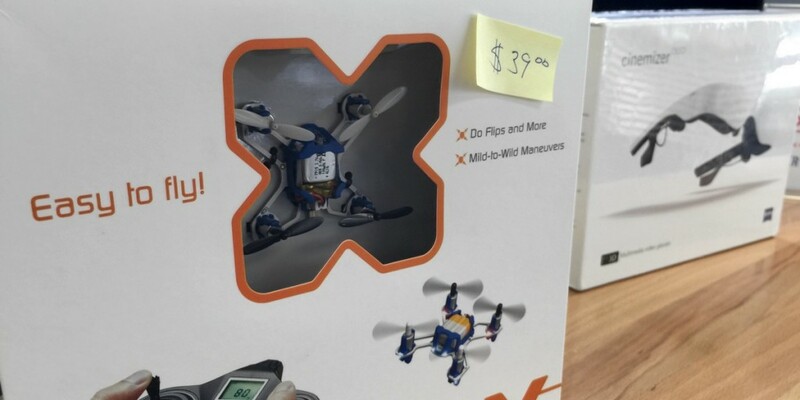 While you can now buy quadcopters at electronics stores and hobby shops, at best they’re a small part of their business. 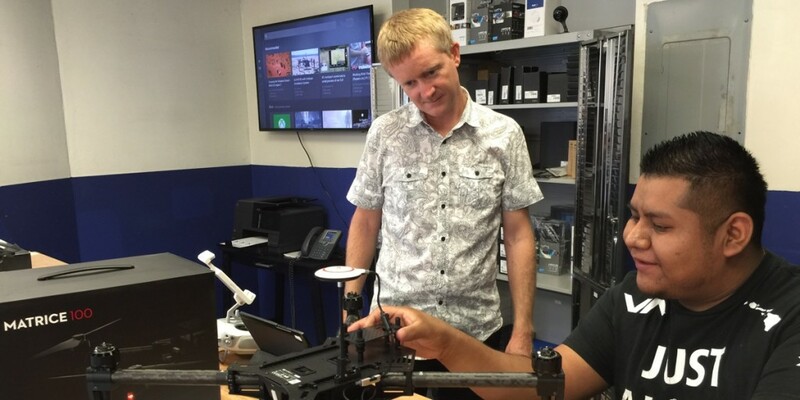 At Drones Plus Hawaii, you can get all your questions answered. Lawler and two full-time employees — Kellie and Marco — keep the doors open from 10 a.m. to 7 p.m. seven days a week (and Lawler is there every day). While most drone buyers still buy their quadcopters online, Drones Plus Hawaii carries inventory of every model that DJI makes. When I visited, the star of the day was the newly released DJI Matrice 100, which falls between the the popular and affordable Phantom line and the glorious (and gloriously expensive) Spreading Wings S900. 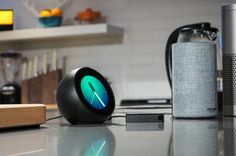 You put it together yourself, and the design is modular, so you can upgrade, swap, and attach different cameras, batteries, and other components. 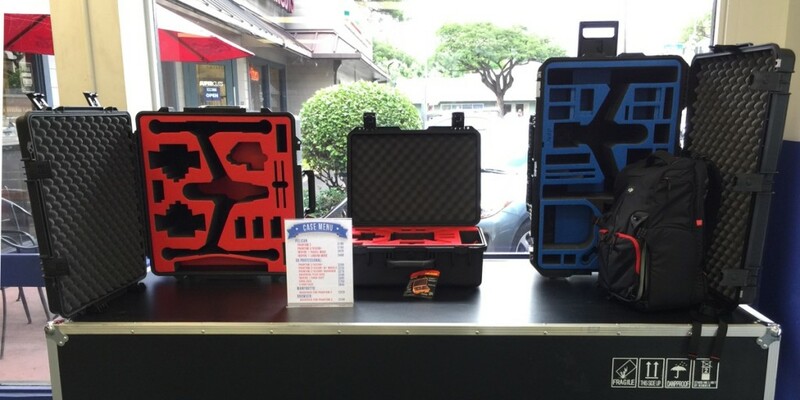 If you’re not ready for that, either, Drones Plus Hawaii also carries microdrones. You can get a matchbox-sized Proto-X SLT for $39. 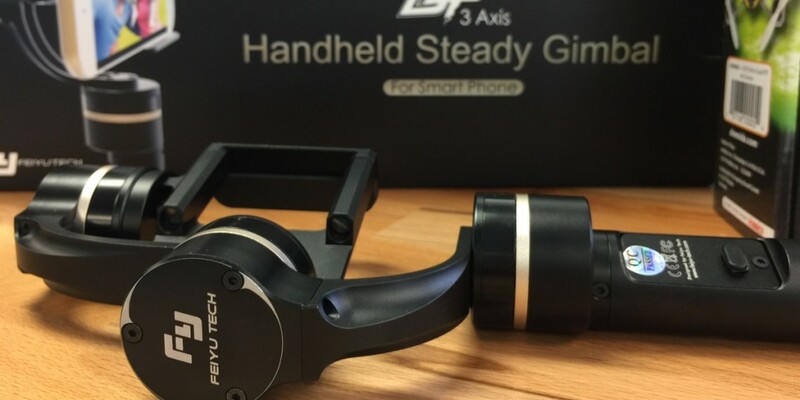 The shop also carries a wide range of accessories, from high-end custom travel and carrying cases to a steadycam handheld gimbal, from FPV displays and goggles, to cameras, batteries, propellers, and other high-demand parts. Lawler and his team also repair drones, which is a big deal. Videos of spectacular drone crashes are almost as popular as videos of spectacular drone views. My well-documented obsession with drones is tempered only by my fear of destroying such an expensive piece of equipment. 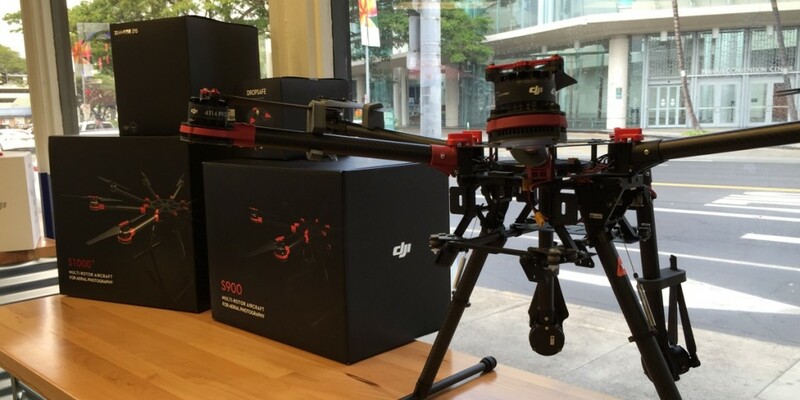 Having a local shop like Drones Plus Hawaii around assuages some of that anxiety. Of course, a lot of people crash or otherwise break them. Although Lawler has only been open about a week, he has already accepted four drone repair jobs. 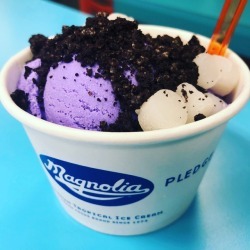 The location of the shop is great, at the busy intersection of Kapiolani Boulevard and Atkinson Drive and right across the street from the Hawaii Convention Center. 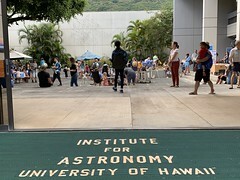 With the huge International Astronomical Union convention now in session, Lawler says several stargazers have come in to learn about a different way to explore the sky. Lawler has devoted about half of his store’s floor space to an open demonstration area, so customers can see the various drones in flight. 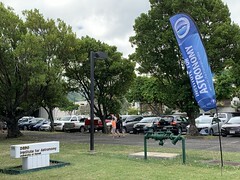 He has also opened his doors to local drone clubs, and the store will host the next monthly meeting of the Hawaii Drone Club. Drones Plus Hawaii is still ramping up, with much more inventory on the way. Lawler said he was looking forward to a big shipment tomorrow. And as the newest Drones Plus location, he is also organizing a DJI-sponsored “Fly In” outdoor demo and outreach event. The date — Sunday, Aug. 23 — is set, but he’s still finalizing a location. I told Lawler of my love of drones, my fear of catastrophe, and my unrealized plans for HawaiiDrones.com, and he was eager to help me get over my anxiety and officially join the ranks of quadcopter pilots. He encouraged me to come back and hang out and learn more about the hobby. 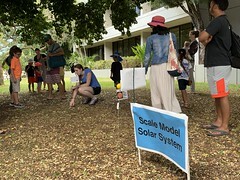 Check out my album of photos from Drones Plus Hawaii on Flickr. 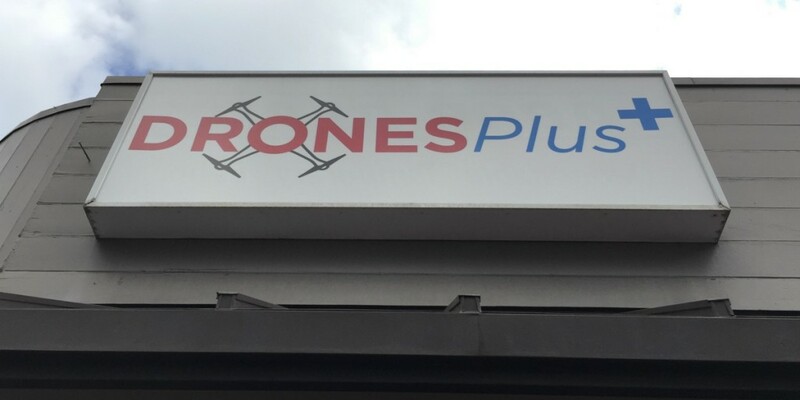 To learn more about the Drones Plus network of stores, visit DronesPlus.com. But to connect with Lawler and Drones Plus Hawaii, you can like the Facebook page and following @DronesPlusHawaii on Instagram, You can also see some of Lawler’s own videos on YouTube. Hello . I am in Brazil and I’m going to Hawaii. I wonder if you have the Lily Drone to sell. And if they do not, know where I can purchase it in Hawaii?